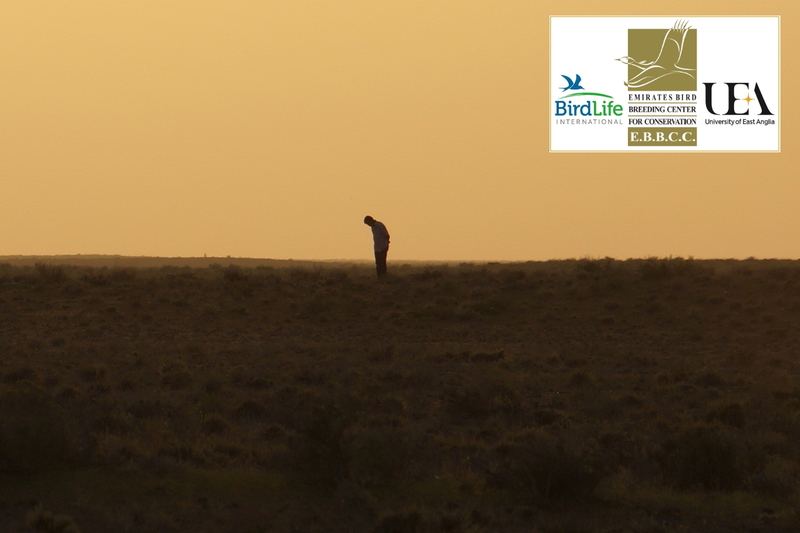 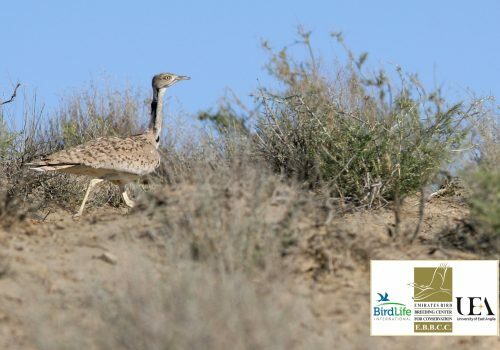 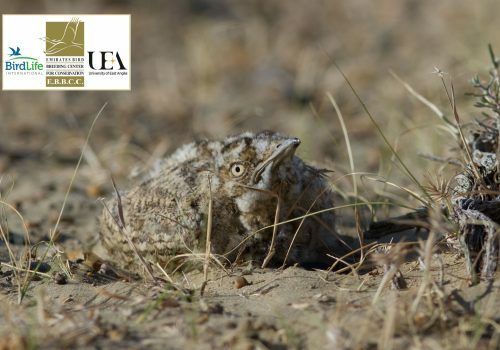 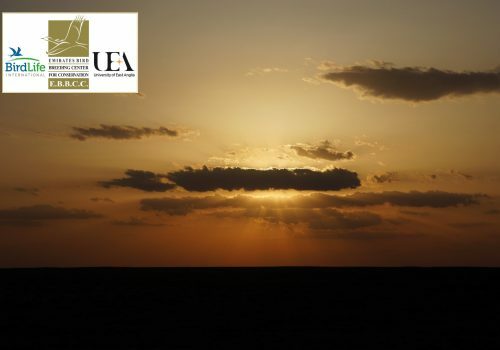 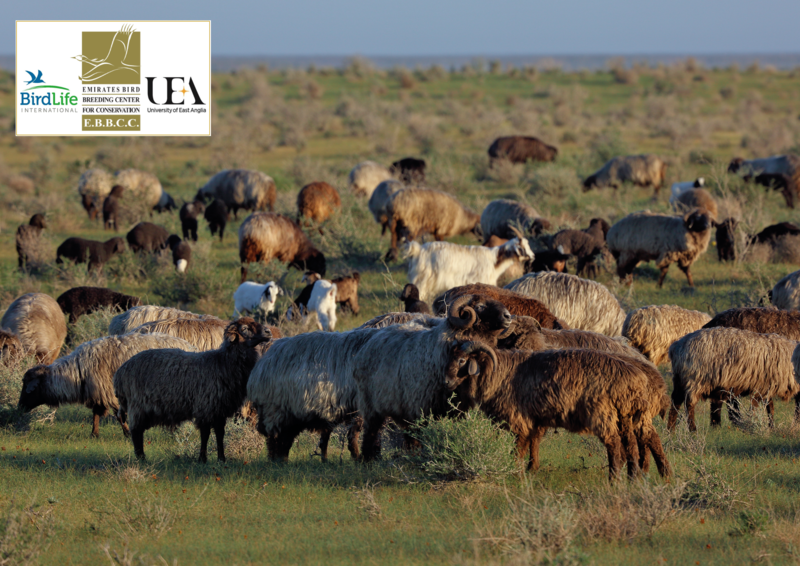 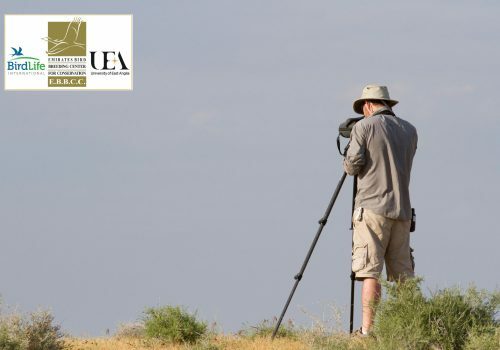 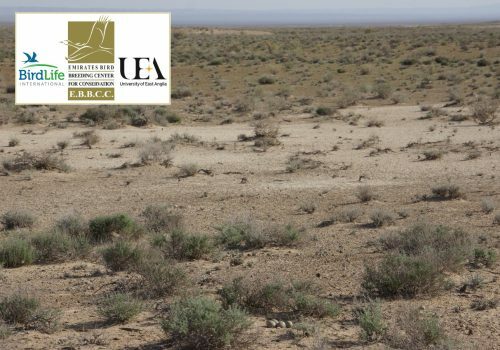 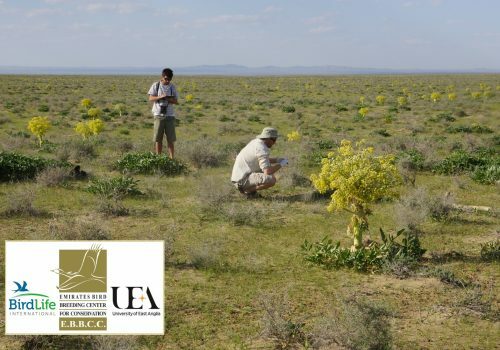 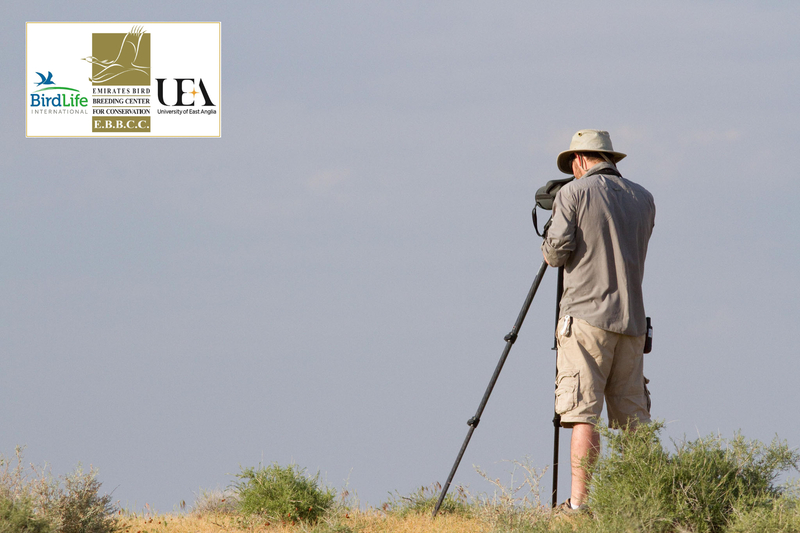 To understand the reproductive potential of the wild Asian Houbara population in Bukhara, we monitor many nests of wild females. 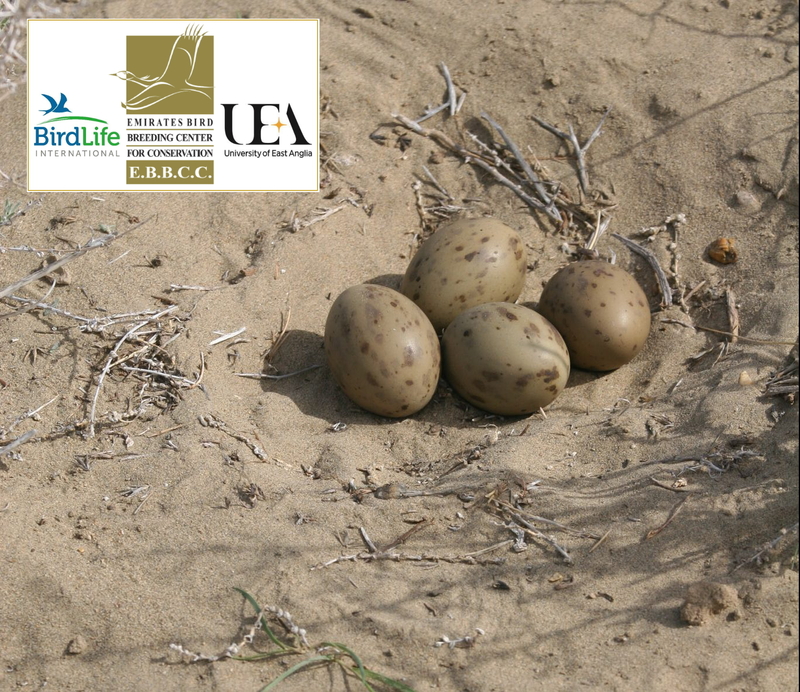 We measure the rate of nesting success, and use nest cameras to understand the causes of failure and how many eggs hatch in successful nests. 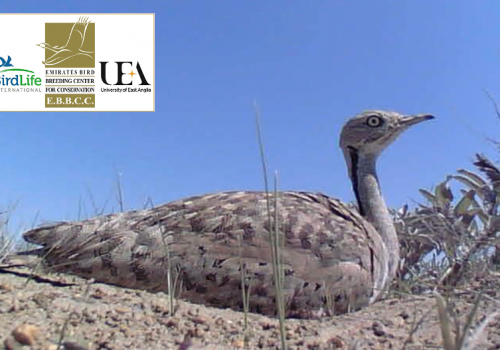 In the video you can see females with chicks. 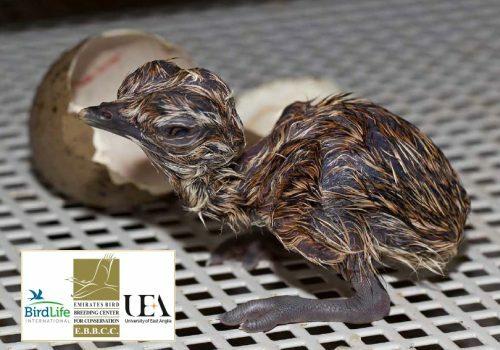 Across the 23 days of incubation approximately 50% of nests successfully hatch. 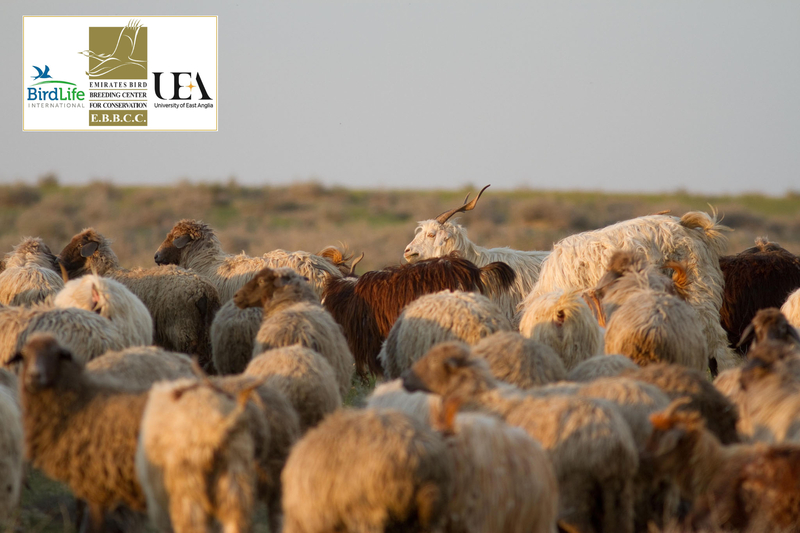 You can read the outcomes of these studies in the research publications page. 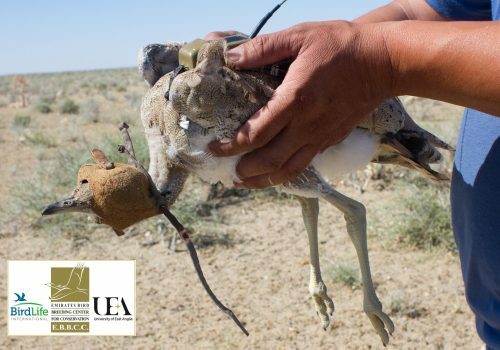 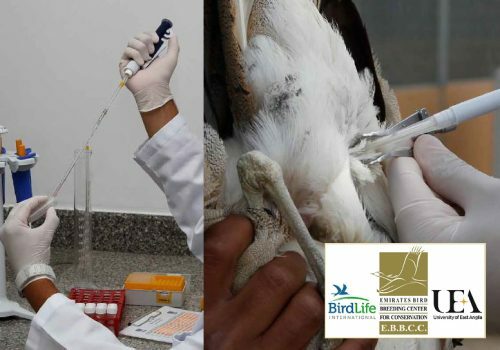 As Asian houbara populations are decline, one response has been captive breeding. 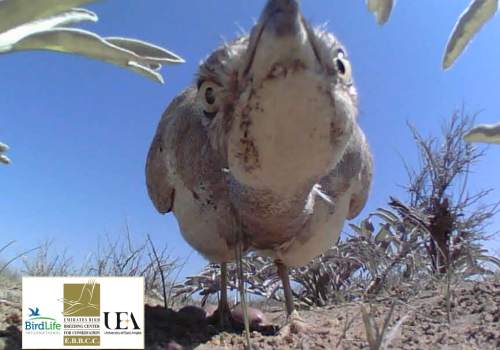 Ideally, released captive-bred houbara should replicate wild houbara behaviour but our study has found that their migration strategies differ: captive-bred houbara leave their breeding grounds later and do not migrate as far south as wild houbara. 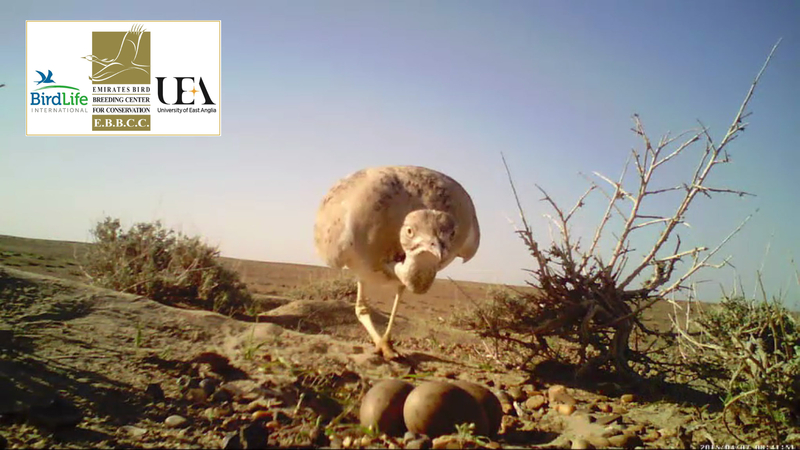 In this video, you can see the dancing display of the houbara. 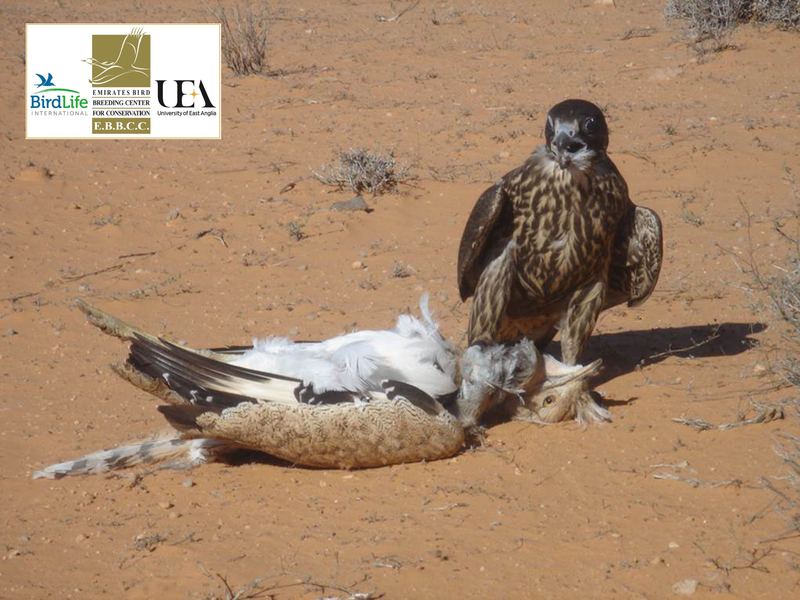 The male folds back his head and puffs his white neck feathers over his head. He then runs around the display site, which is often on an elevation, to attract females to visit. 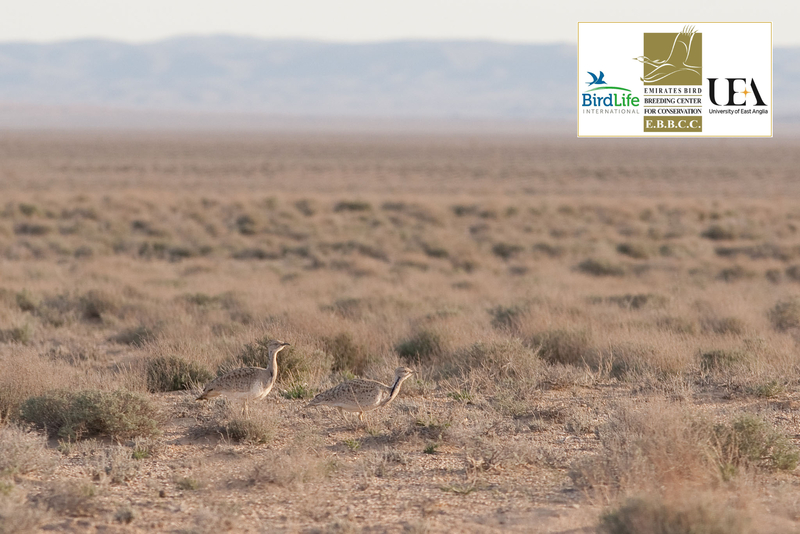 Asian houbara are masters of camouflage, with cryptic feathers to blend into their desert home. 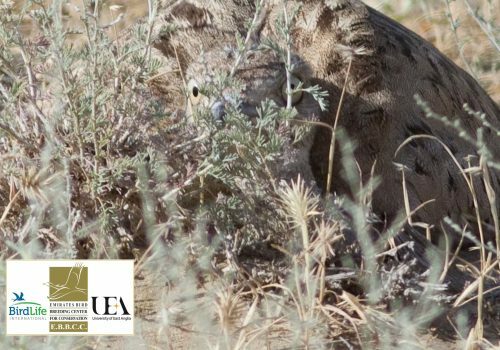 They nest between shrubs and crouch low to the ground when they see danger, so well hidden that these passing sheep do not see her. After incubating her nest for three weeks, this houbara’s eggs are hatching! 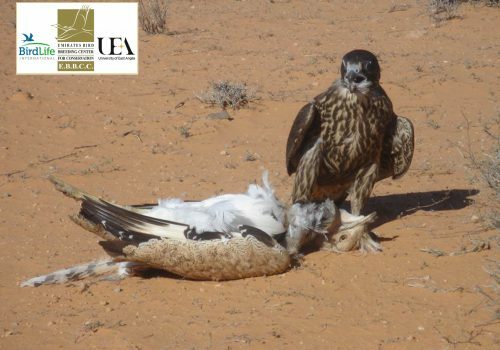 Here we see interactions between mother and chicks. 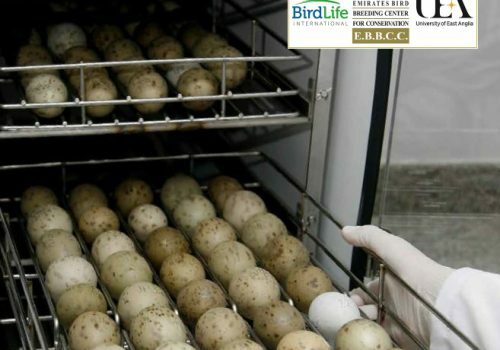 She removes empty shell (bright white on the inside) to avoid attracting predators. 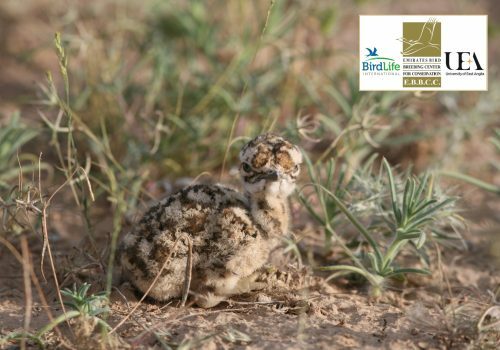 Houbara chicks are precocial, (walking soon after hatching) and are eager to explore at just two hours old! 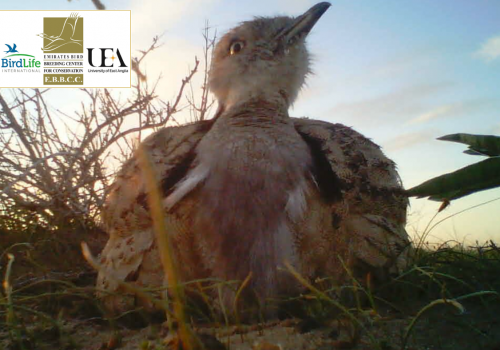 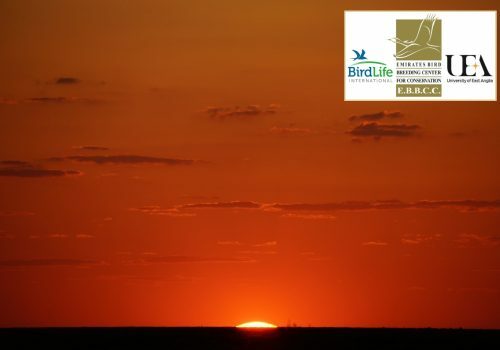 Listen to the strong vocal contact between mother and chicks, established during incubation by calling to her eggs. 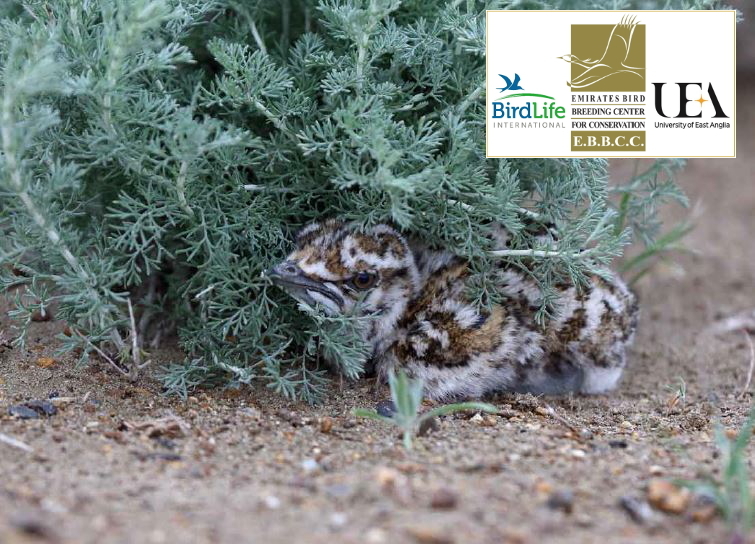 Chicks stay with their mother until they are 50 days old. 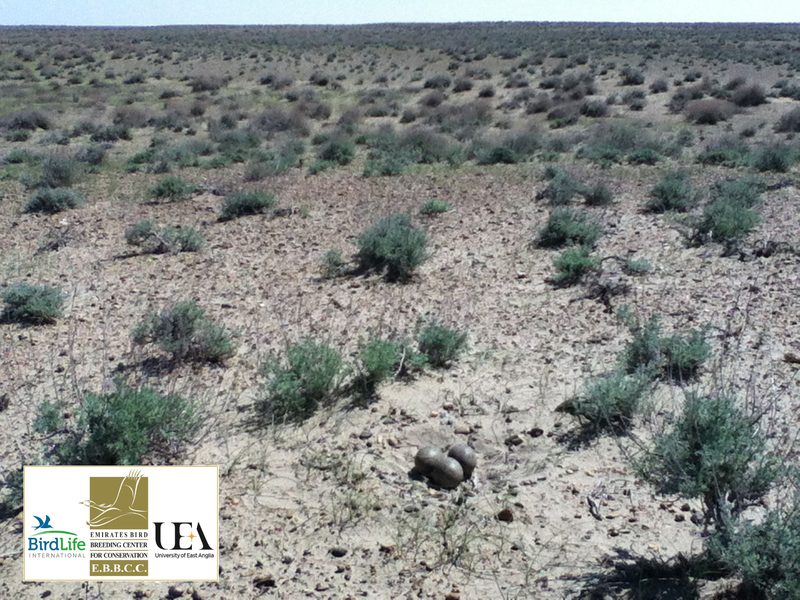 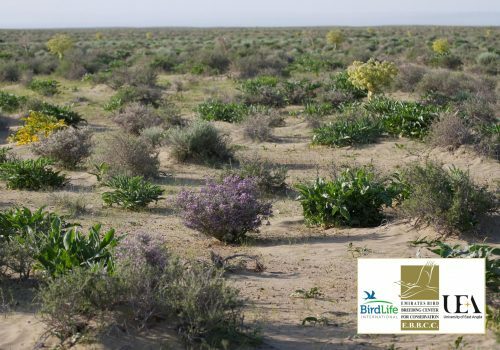 Asian #houbara nest in the Kyzylkum desert, concealing their nests in short shrubs. 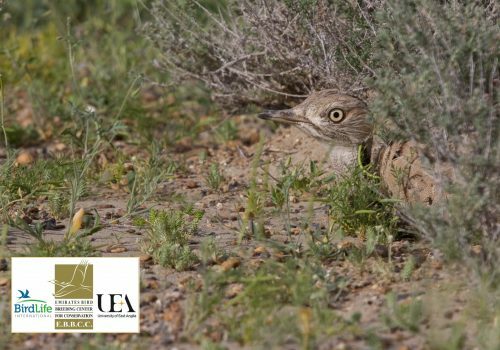 Our study found that vegetation height has an important role in nest site selection but that there is a trade-off between concealment and ability to see approaching danger. 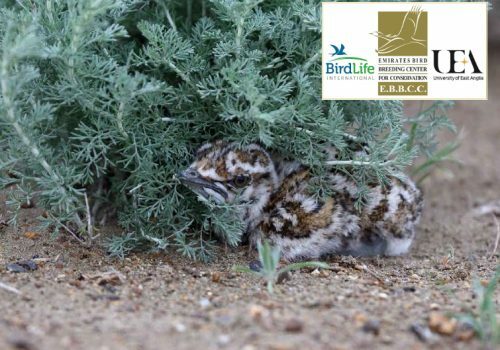 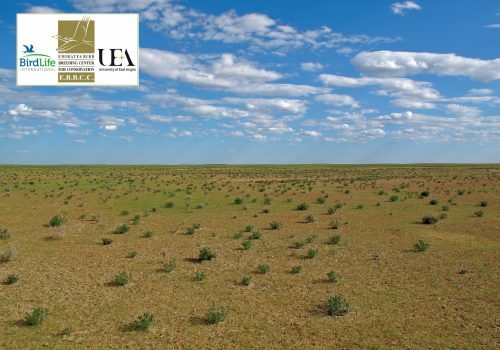 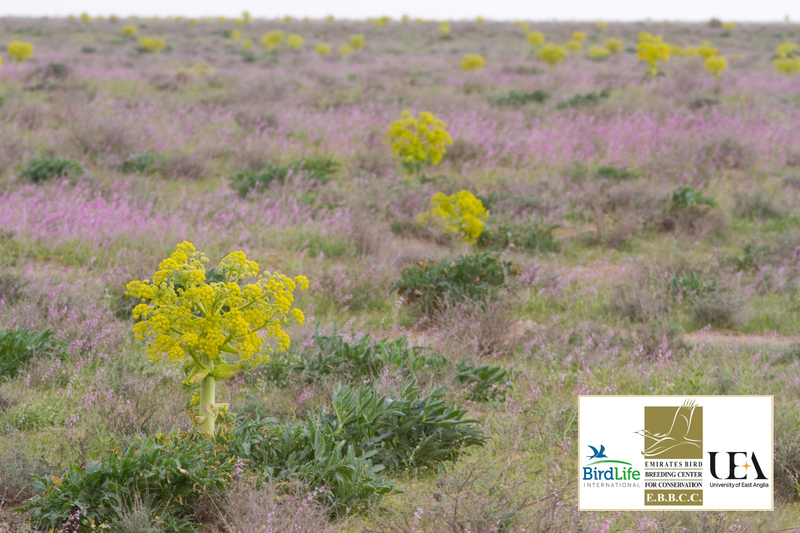 Vegetation height influenced nest success; increased shrub height reduced predation with the optimal nest vegetation height being approximately 30cm. 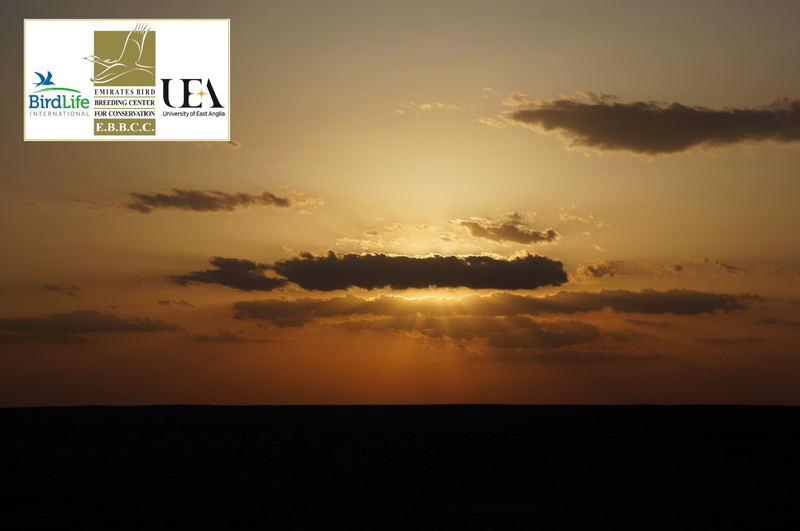 Read the study in Auk. Here is rarely seen footage of nest predation by a desert monitor lizard. 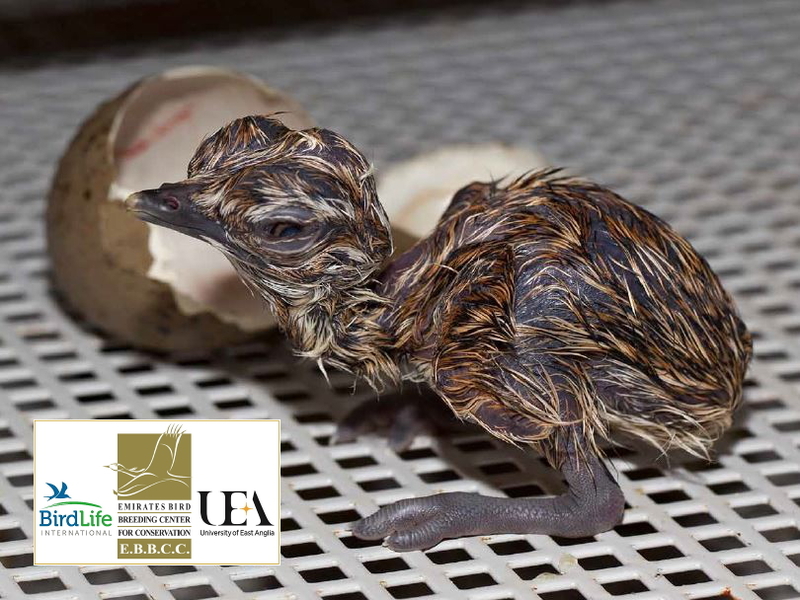 Monitor lizards are natural nest predators and account for 44% of failed nests in our study. 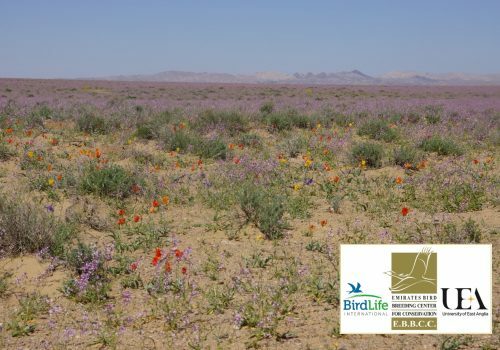 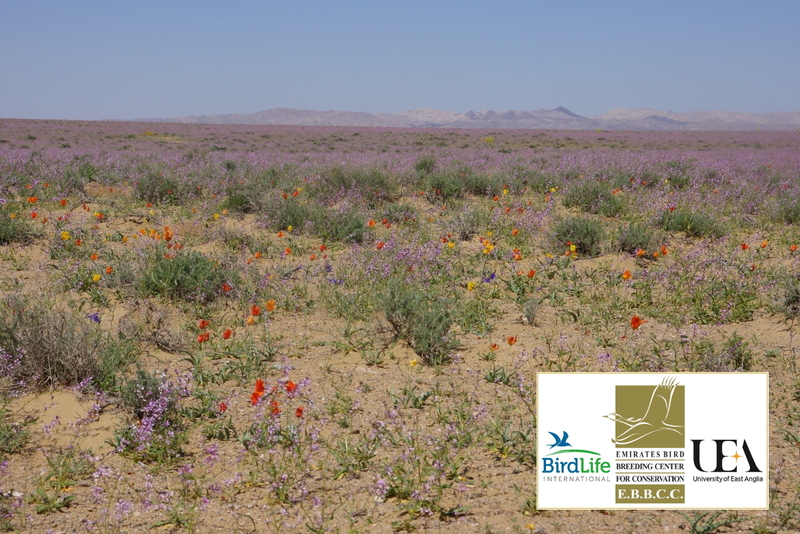 Desert monitors emerge in the Kyzylkum Desert as the late spring temperatures get hotter meaning early season nests are less likely to be lost to monitor predation. 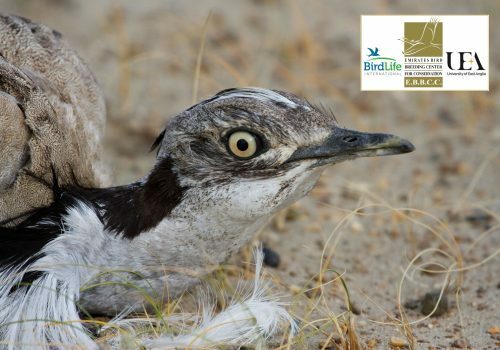 Watch how this female bravely defends her nest, and despite being unsuccessful, her threat display is a powerful spectacle. 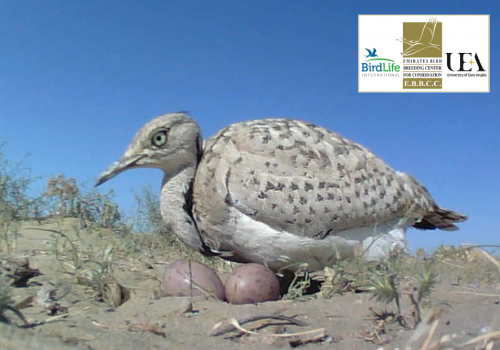 Asian houbara eggs hatch within 24 hours of each other and the next day the female leaves with her chicks. 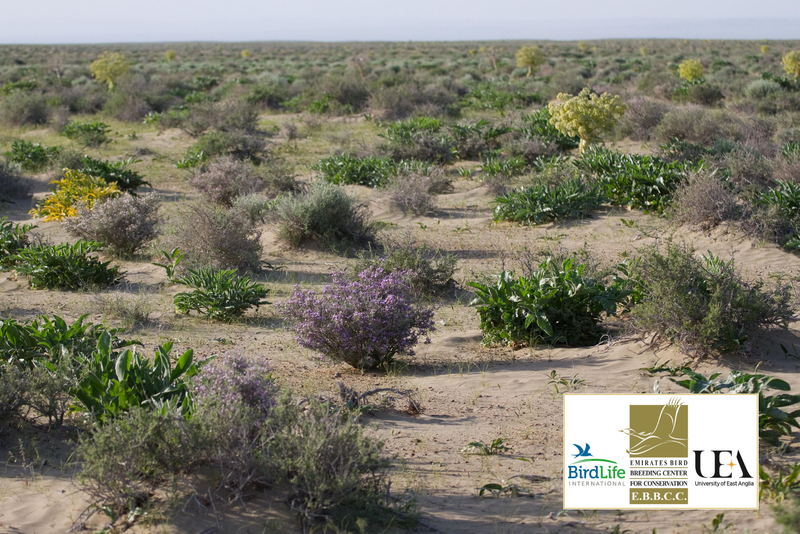 Sometimes not all eggs successfully hatch, but in the desert nothing is wasted. 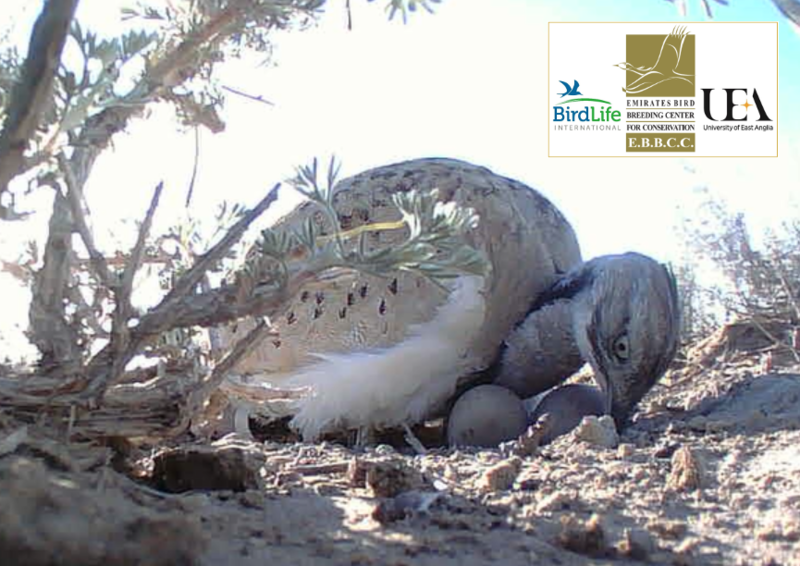 A surprising visitor drops in to take this unhatched egg for breakfast, in rarely seen footage captured on our nest spy cameras. 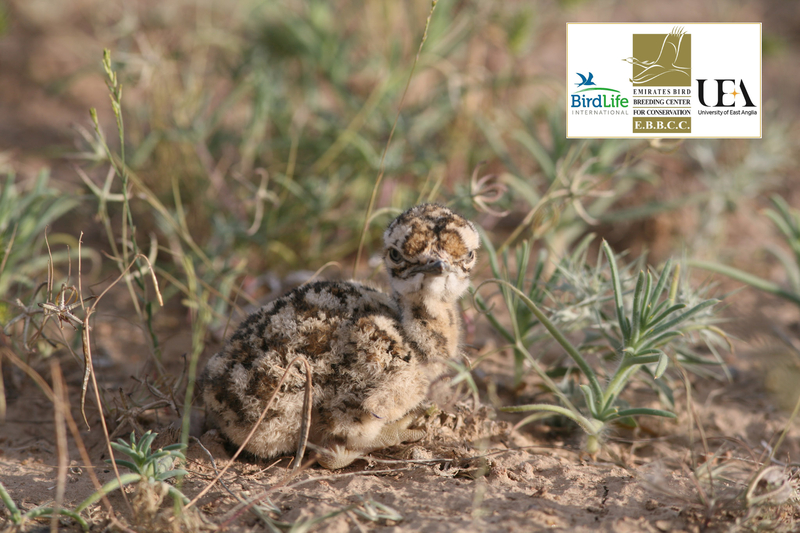 Once hatched, houbara chicks must quickly learn what is food and how to eat it. 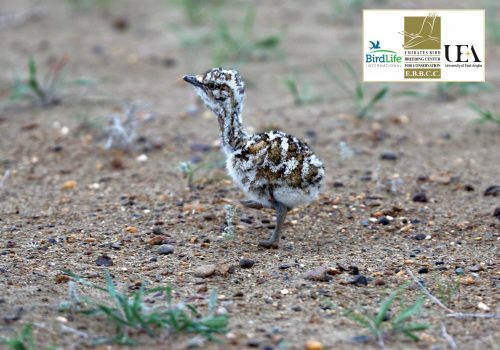 Here, a mother houbara teaches her chick with a grasshopper. The chick needs to be 10 times its hatch weight in 6 weeks. 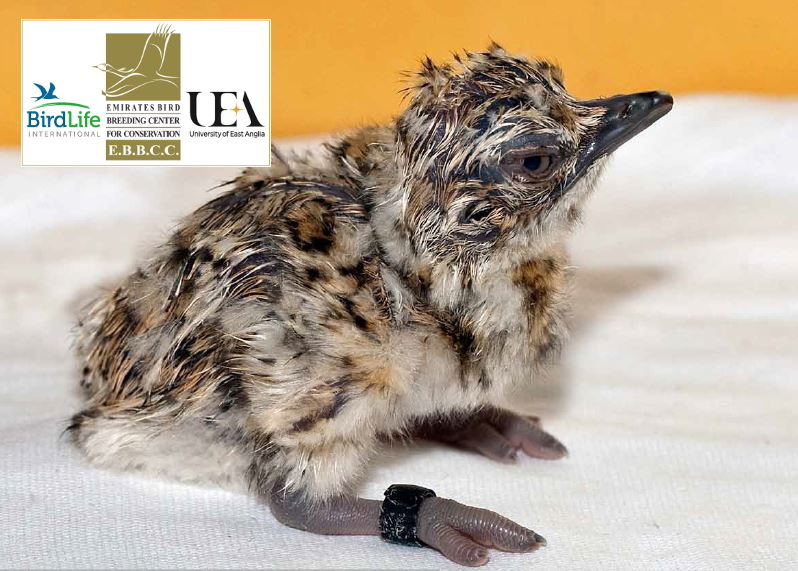 Chicks grow rapidly on a rich diet of insects, being able to fly by 6 weeks and leaving their mother at 7 weeks old. 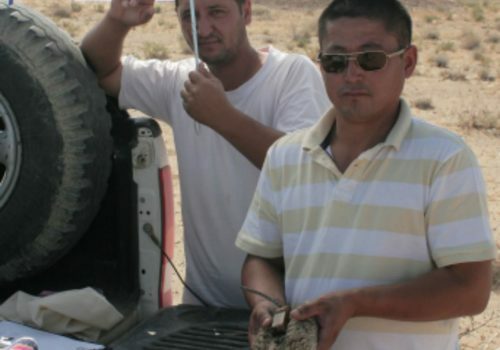 That will require a lot of grasshoppers! 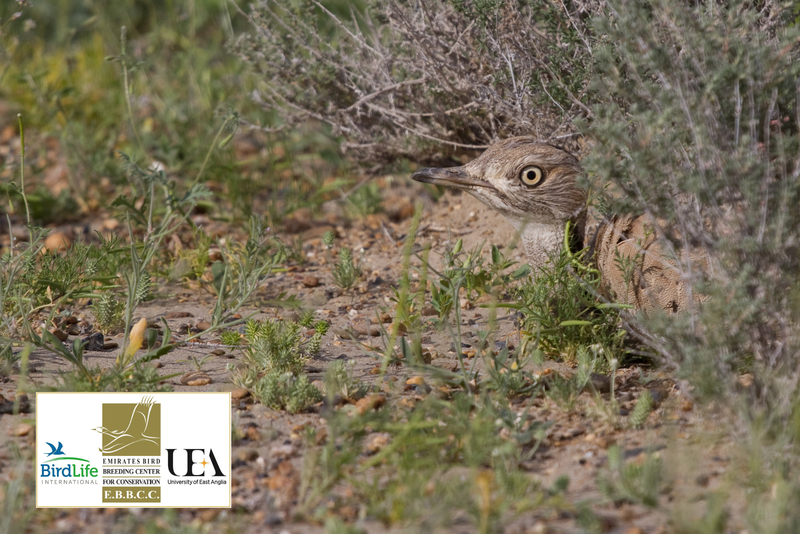 Nesting Asian Houbara use camouflage to their advantage in the Kyzylkum Desert. 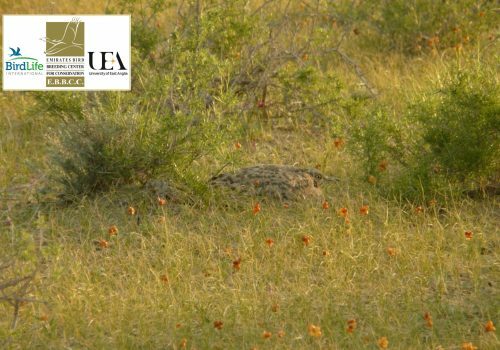 A passing fox does not see her until she flushes from her nest. 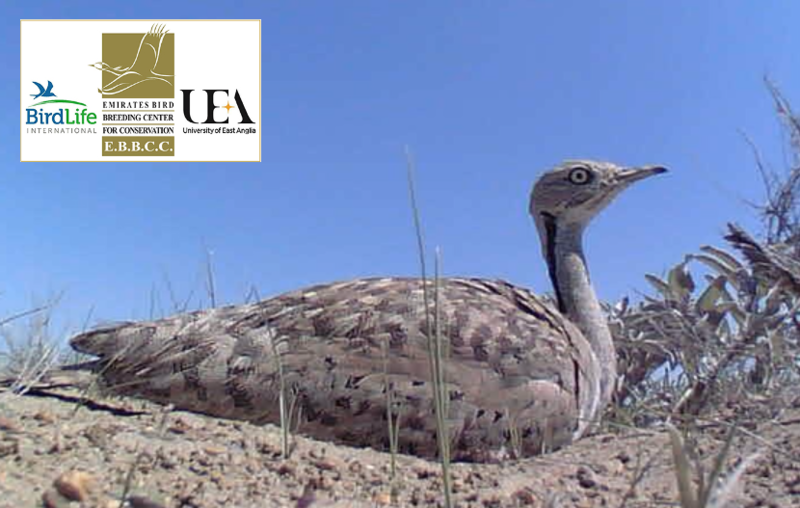 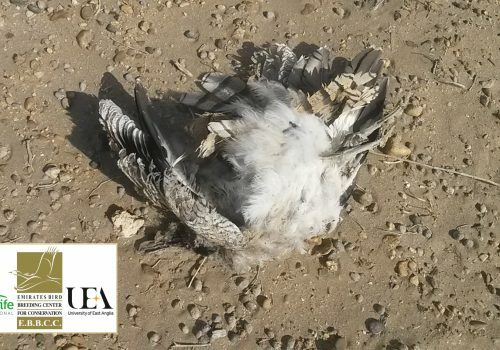 Unfortunately, the fox will take her eggs, but in our study 66% of houbara that fail their first nest attempt will go on to nest again that season. 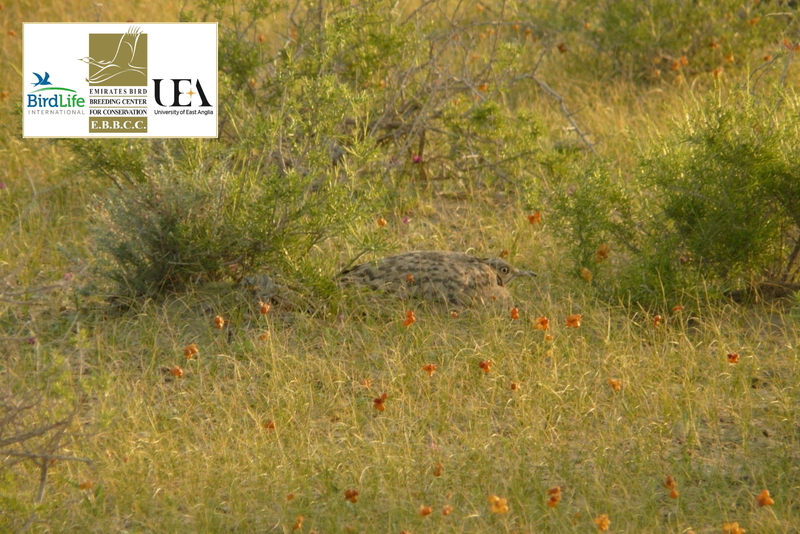 Red fox is a natural nest predator in the Kyzylkum and account for 37% of nest failures in our study. 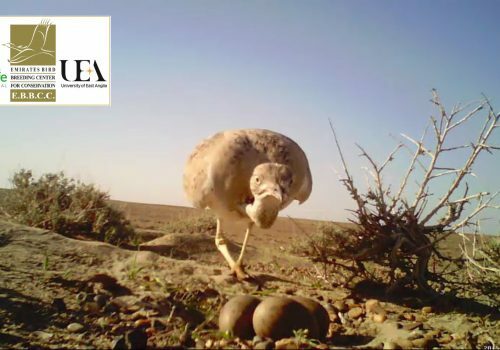 Foraging hedgehogs sometimes bother nesting #houbara in the hope of stealing an egg. 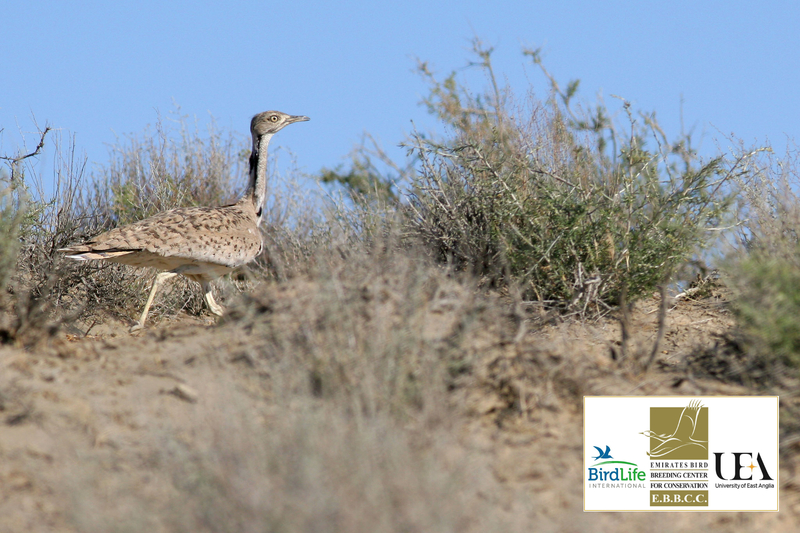 Female houbara will stay & defend their nests against predators that are no threat to themselves. 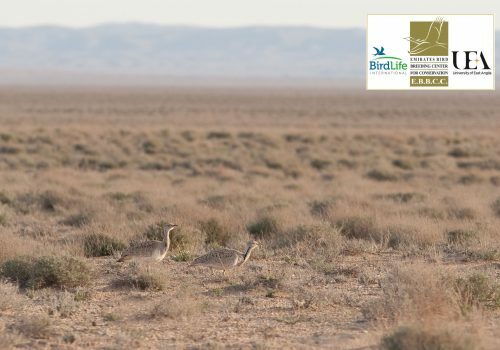 Here’s a standoff between houbara & hedgehog. 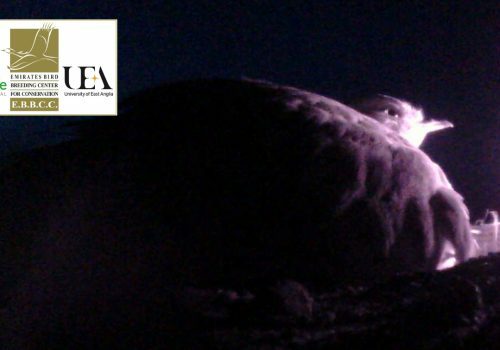 Who will back down? Female houbara nest in the Kyzylkum Desert, Uzbekistan. 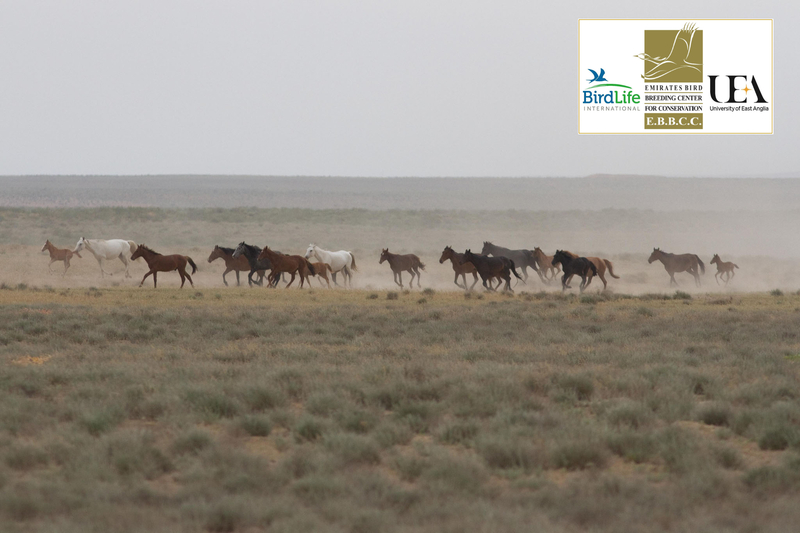 After migrating south for winter they return to the Kyzylkum in spring eager to start a nest. 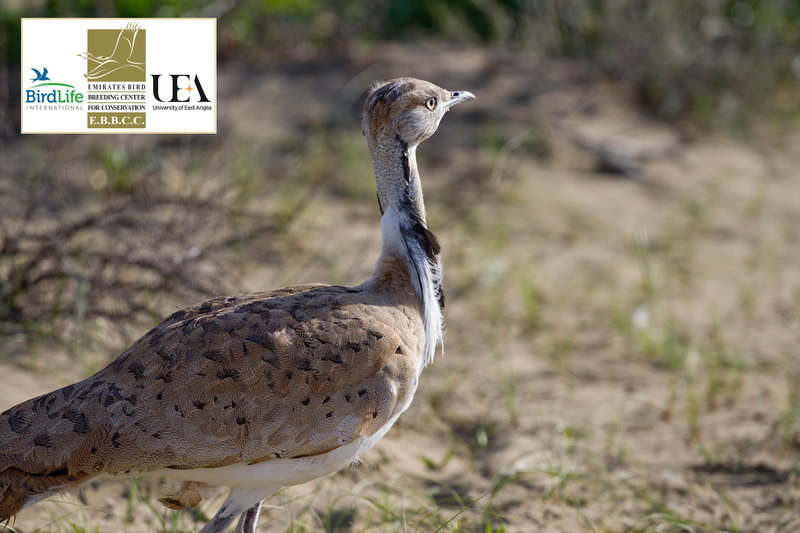 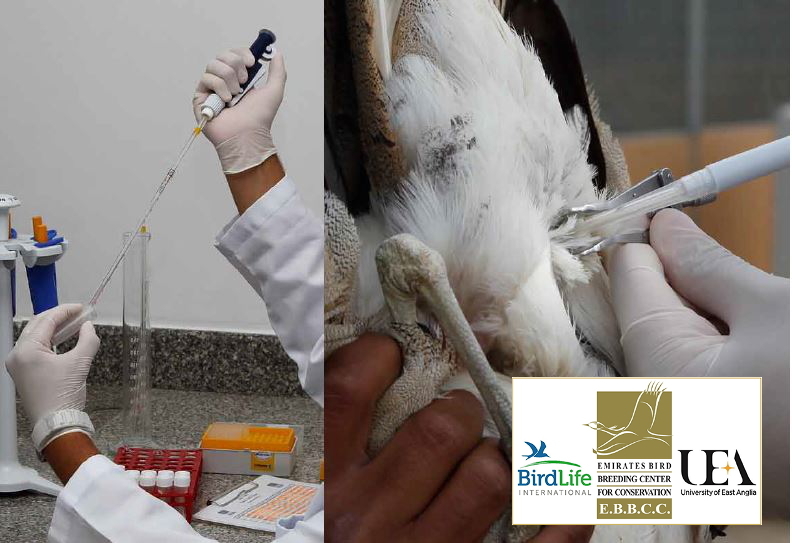 Our study has found that 98% of wild adult female houbara breed every year. 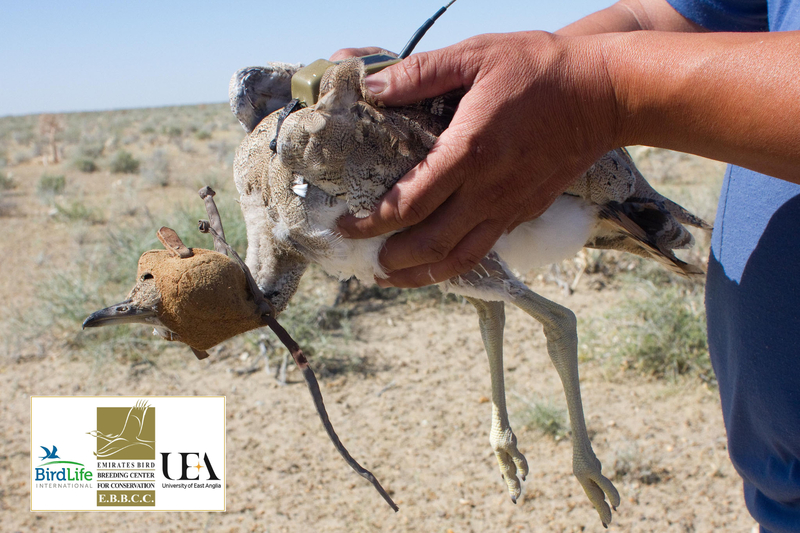 Captive-bred houbara also instinctively nest in the Kyzylkum Desert in spring. Hedgehogs forage in the Kyzylkum Desert at night. 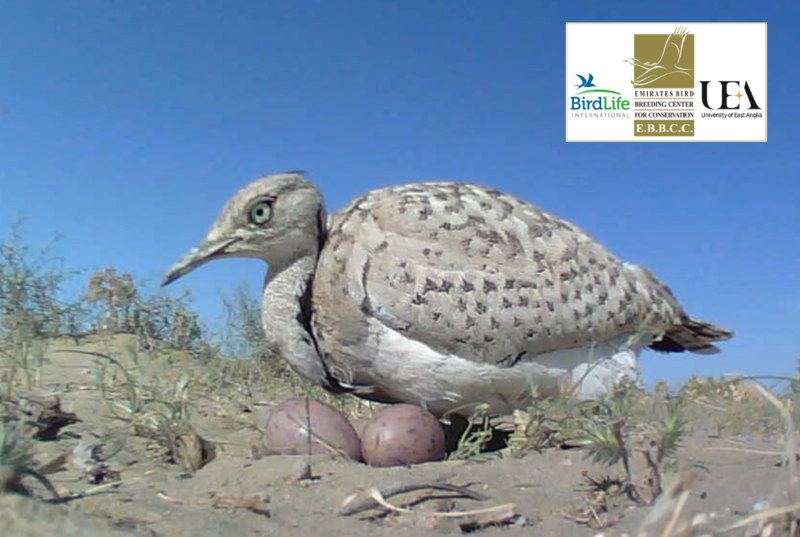 Here one finds an undefended #Houbara nest containing an unhatched egg. 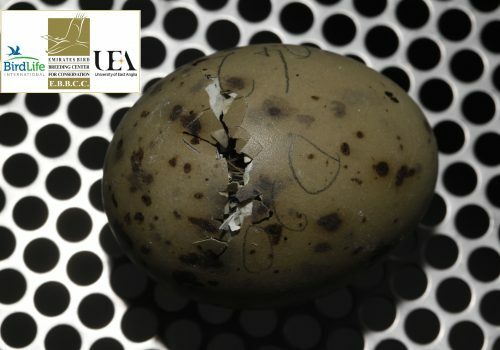 This hedgehog has hit the jackpot – eggs are hugely nutritious. 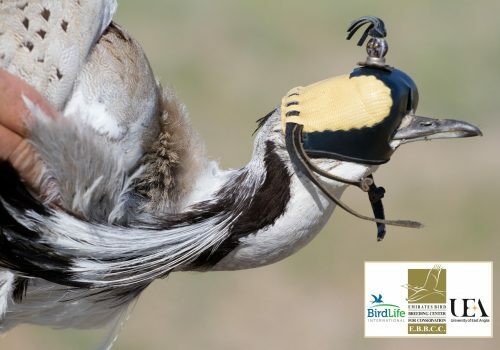 But how do you eat an egg bigger than your head?! 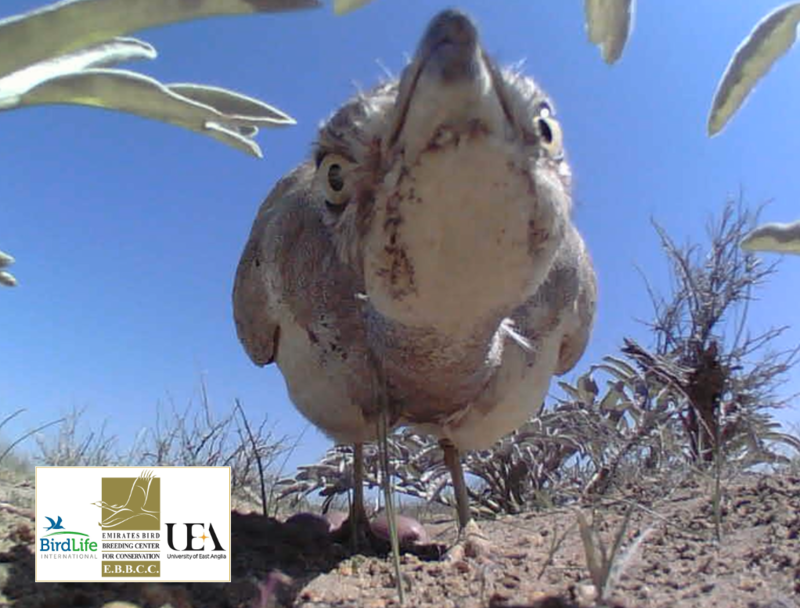 Male houbara can sometimes be a little too eager to win females to mate with. During the breeding season, they attract females with an impressive dance and feather display. 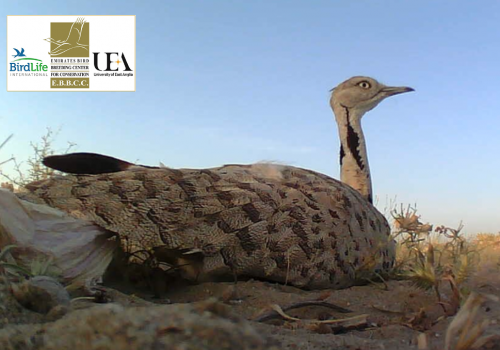 Here a male houbara tries his luck with a female, but there’s a problem; she already has a nest with eggs! 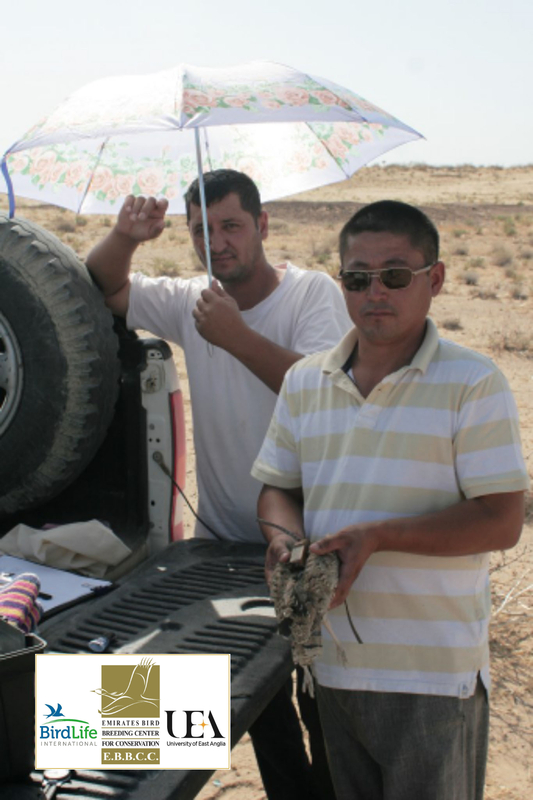 Asian houbara share the Kyzylkum Desert with a range of other animals. 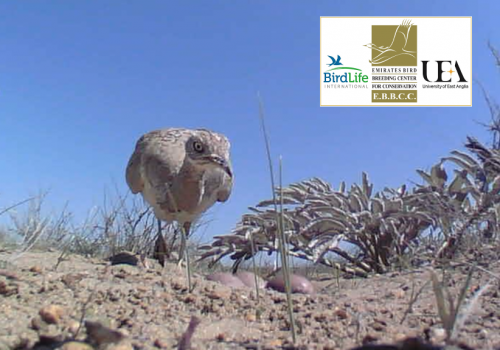 Some of them get closer to houbara nests than others. 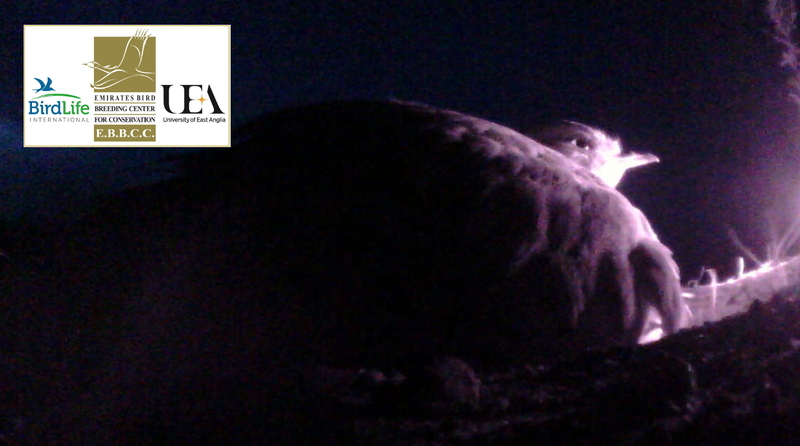 Here, a tortoise comes to have a look and decides that walking over an egg is better than going around it! 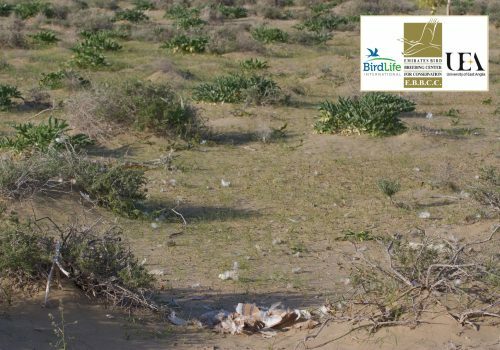 Female houbara nest in the desert, laying their eggs in a ‘nest scrape’. 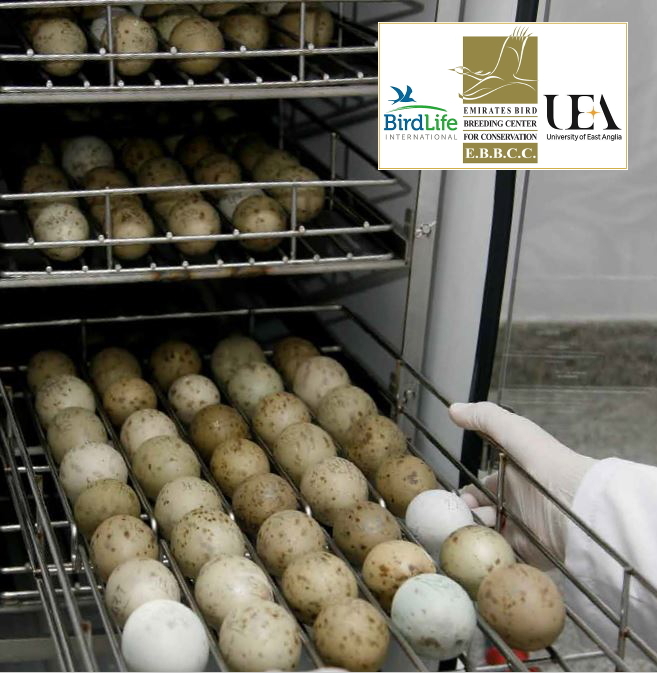 They sit on their eggs round the clock, incubating them for just over three weeks. 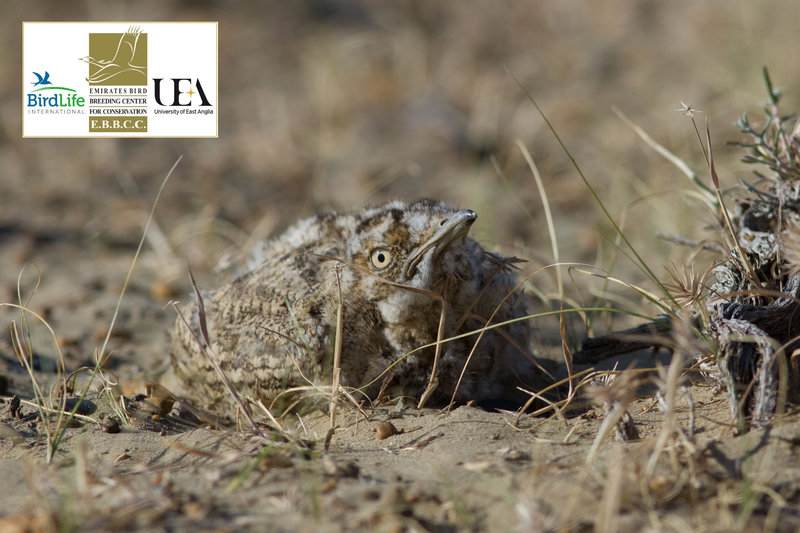 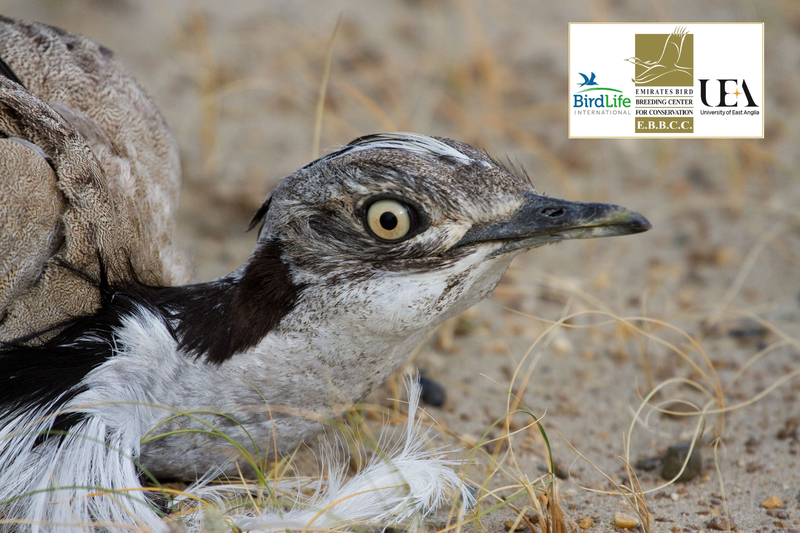 Nesting on the ground means that females are the only protection for their eggs in all weather conditions. 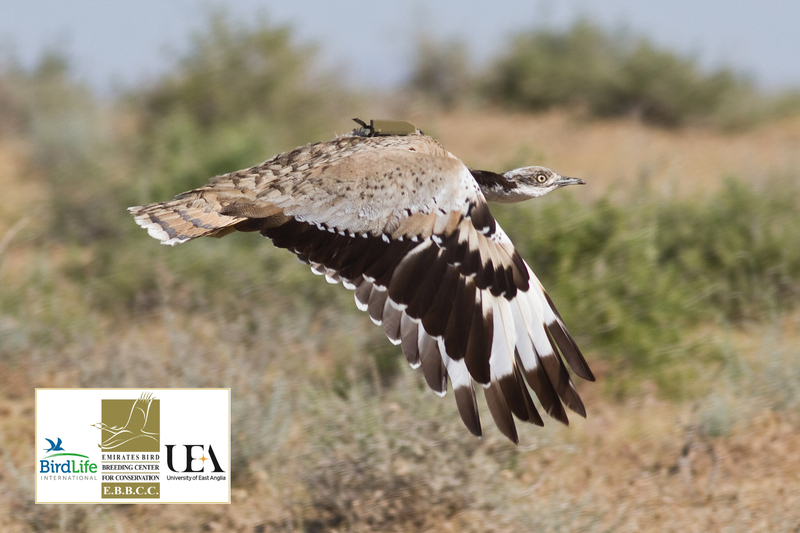 Here, a female sits through a sandstorm where winds can reach over 50 km/h. 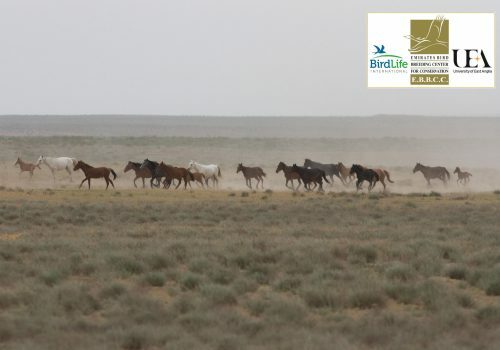 Now that’s endurance! 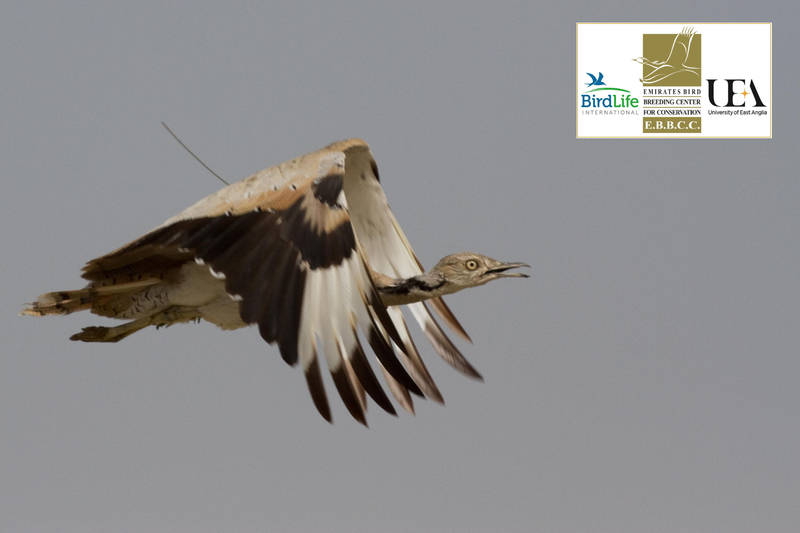 Houbara fiercely defend their nests against predators that are not a direct threat to themselves. 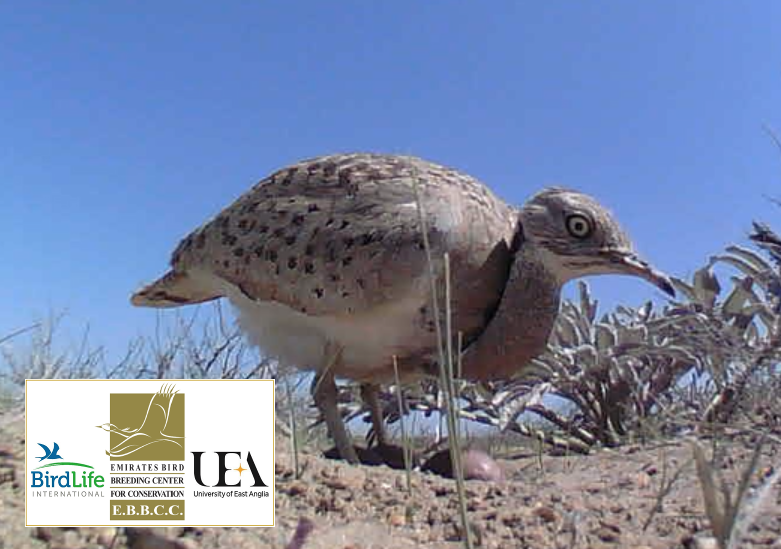 Here, a female is disturbed by a hedgehog, & with two chicks & an egg just about to hatch, a fight ensues. 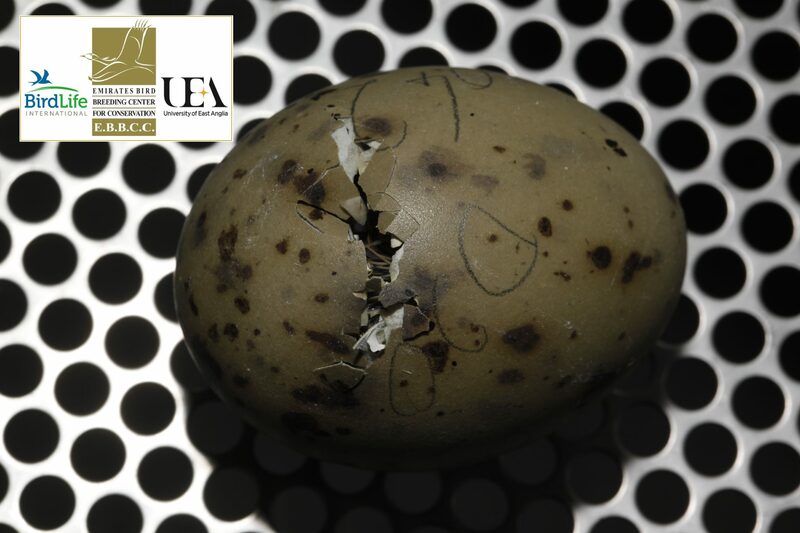 Will her third egg survive the night?